A big part of what makes a harvest considered high quality is the essential oil content. Essential oils go hand in hand with the aromas, flavors and resin contents produced by harvested plants. These essential oils and resins create the terpine profile in the plant material; the compounds that influence the plant’s natural fragrances and flavors. 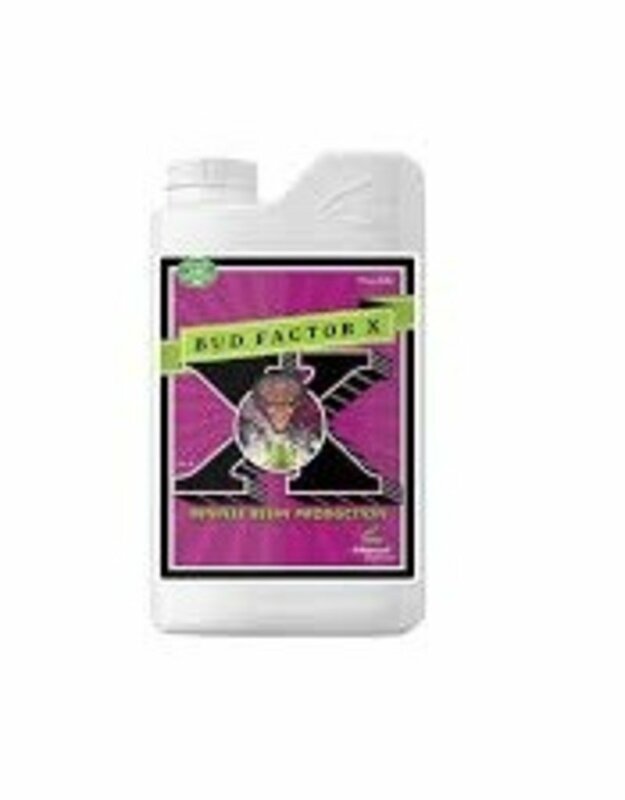 Bud Factor X contains bio-active ingredients that enhance inherent qualities in plants, coaxing maximum production of terpinoids, resins and essential oils. The components in Bud Factor X were also engineered to maximize yields, not only crop quality. The balanced combination of highly bio-active ingredients maximize resin contents in crops as well as enabling crops to continue at maximize photosynthetic rates when plants normally are forced to “shut-down”. The reduced forms of nitrogen and B-Vitamins in the formulation will also further root development, especially when using Bud Factor X in conjunction with Piranha, Voodoo Juice and Tarantula. Many types of plants have external organelles. This is where resins and essential oils are secreted. Resins and essential oils are part of the plant’s natural defense system against insects in two major ways. Firstly, sticky resins create a physical barrier that thwarts insects and may trap and kill smaller insects such as spider mites. Secondly, the aromatic compounds that are produced in the resins will deter many types of insects from contacting the plant. 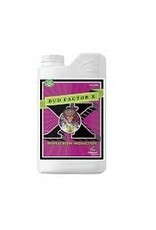 Bud Factor X is applied with nutrients starting in the early bloom phase to trigger and maintain a higher level of resin secretion throughout the entire bloom phase. 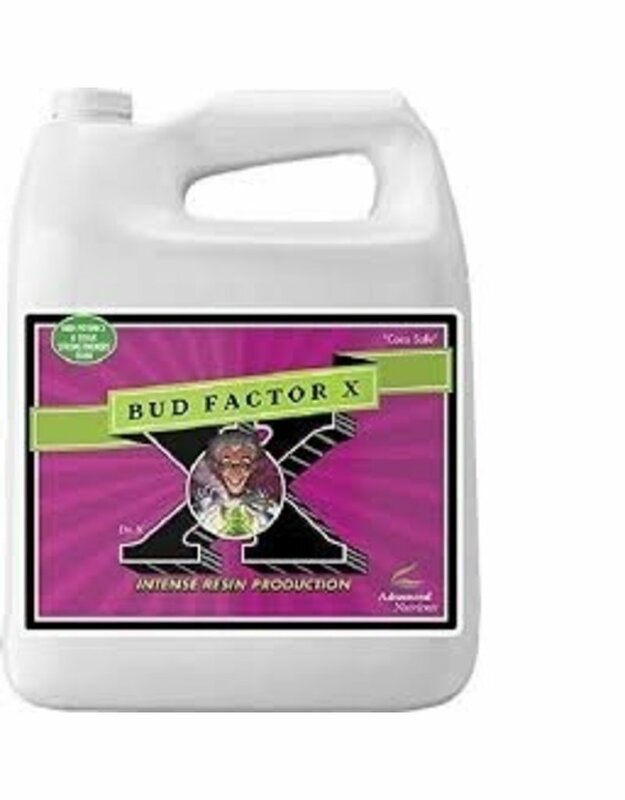 The ingredients in Bud Factor X are absorbed by the plants roots and begin to signal the plant to maximize production of these valuable compounds. This is accomplished by signaling receptors that are inherent to the plant directly on an intra-cellular level. When this occurs, not only is the plant of higher quality, it is able to continue to grow abundant harvests. 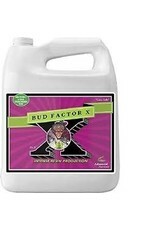 Using Bud Factor X, growers can avoid falling victim to reliance on chemical controls such as sulphur that significantly reduce the qualities such as flavor and aroma in the harvest. triggers plants to maximize their ability to produce essential oils and resins. provides nutrition for beneficial microbes in the root zone. increases the value of crops grown for their essential oil contents, giving maximum yield of the desired active compounds.